1. Record an album while you’re here. Call it The Eucalyptus Tree. Possible song titles could include With Or Without Roo and Bullet The Blue Arsed Fly. 2. Play some shows in Hobart, Tasmania. Make sure Van Diemen’s Land is on the set list. 3. Please, please, please play arenas instead of stadiums next time you’re here. The last time we saw you in them was 1989, and how good were the shows? Such was the fan frenzy that you sold out Rod Laver Arena in Melbourne seven times. It was a record for the venue at the time, and was even a record for U2 – the most shows in one city on the same tour. You only just broke that record in 2015 when you played eight nights at Madison Square Garden in New York. Pink now holds the record at Rod Laver Arena. Records are there to be broken. Pink FFS. 4. Go to the 12 Apostles in Victoria and find Judas, who’ll be easily recognisable as the one playing the tart. 5. Ask INXS and Midnight Oil to be your support acts. No more rap artists por favor. 6. Use Holden Commodores as your lighting rig during live shows. You might not have saved East Germany’s Trabant factory from closing during the Zoo TV tour, but Holden can use all the help it can get. 7. 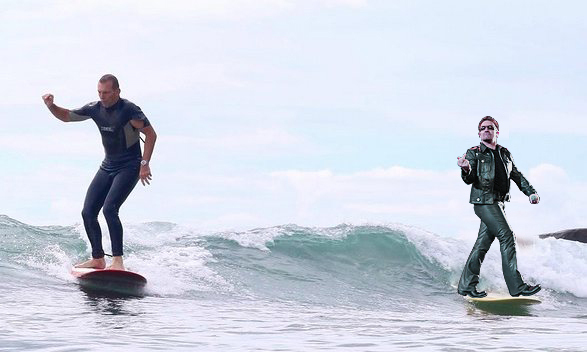 Go surfing so an ex Prime Minister can steal your wave. 8. Play gigs in Perth AND Adelaide on the same leg of a tour. You’ll save the people in those cities a lot of travel money. They’ll buy more merch. 9. Do a guest spot on Neighbours and use the experience for a Bono rant, like this one. 10. Larry Mullen Jr can compete on and win My Kitchen Rules, ‘coz no kitchen rules as much as the one where U2 first played. 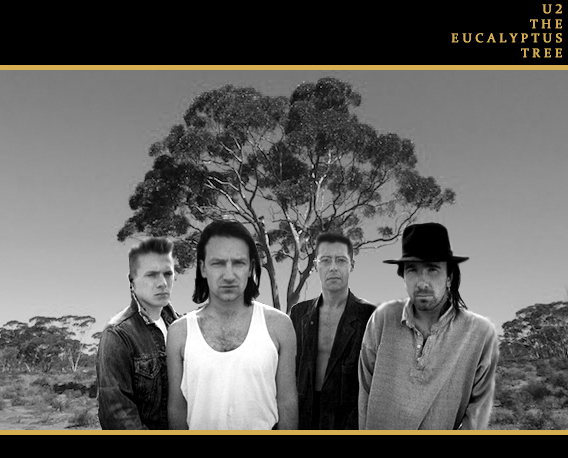 Check out my U2 Australia Facebook , Twitter and Instagram pages and never miss a blog post again.